Our flexible software program gives you the power to gain control and continuously manage your vehicles, inventory, gear, parts, work orders, training, time, and more. There is virtually nothing you cannot track with collectiveFleet®. Every member of your team can easily enter information into collectiveFleet®. Our Mission Control Dashboard gives you a view of what is happening down to the second. With multiple user levels, you can use Role-Based Security to ensure your data is safe and only viewed by those with permission. You can quickly access your data and find what you need to stay on schedule. Managing all of your data in one centralized location enables you to see the big picture of how your organization or department is doing. collectiveFleet® is accessible on any device, including computers, tablets, and smartphones. With our barcode scanning feature and scanning hardware*, you will have the power of checking items in and out at your fingertips. *Hardware sold separately. Manage your data, as well as your employees, by viewing everything in one user-friendly, colorful dashboard. Don’t waste time reinventing the wheel. Our templates are out-of-the-box tools with proven functional value. Give each user role-based access and security level. This keeps information safe and relevant to each job. Streamline communication by sharing reports easily and quickly by email in .PDF format to the printer. Your business is unique. That is why we offer the ability to configure equipment categories as you see fit. Adding photos of equipment and technicians will help document the identity of workers and the condition of equipment. Without going through all of the clicks and steps to see prior work orders, we made it easy to quick-view order history. Attach documents, including licenses, warranties, and receipts. Simply scan and upload as many files as you need. Inventory tracking made easy – our software is compatible with barcode scanners, label printers, and other hardware. Employees are your most valuable assets. Keep employee records, including evaluations, in one central location. Never miss a vehicle inspection date, again, with collectiveFleet® reminding you of each and every inspection that is due. Monitor your parts inventory with collectiveFleet®. Ordering too much or too little can greatly affect your bottom line. Give your drivers peace of mind that the mileage and condition of their tires are being monitored for safety and appropriate replacement. Need a report on the fly? The Ad-hoc Report Creator gets you the info you want, when you want it, so you can print or email it. Whether you use email alerts as reminders or for security alert purposes, they are a great way to stay on top of tasks. Fleet and assets are the backbone of a successful and thriving enterprise. collectiveFleet® will help you reduce costly repairs and stay ahead of preventative maintenance. As you manage key performance indicators, our system will automatically alert your team to take action when needed. The data you collect and maintain in collectiveFleet® can be processed into meaningful reports that help justify the need for new equipment and staff, improve communication throughout the organization, and streamline workflow. Stop wasting time and start controlling technician productivity with collectiveFleet®. You need software that is easy to use at all user levels in a streamlined workflow process that will increase your productivity enterprise-wide. collectiveFleet® allows you to quickly create estimates for service or work orders while gathering important data. Mission Control Dashboard is the tool used to continuously monitor information on parts, inventory, tools, vehicles, and employees. It is easy to create a process flow that fits your unique needs with each member of them team using different sets of user permissions enabling them access to increase efficiency. Pre-made templates make the set-up process effortless. The software enables you and your team to receive email alerts for scheduled tasks and approaching deadlines. Managers can keep a thumb on the pulse of what is happening by setting alerts. Rapid report generation gets you the information you need quickly . collectiveFleet® works with barcode scanners and label printers to make asset tracking simple. Information is available when you need it with collectiveFleet®. Easily paired with other software integrations you may already be using, you have a powerful tool that will put data together in meaningful ways. 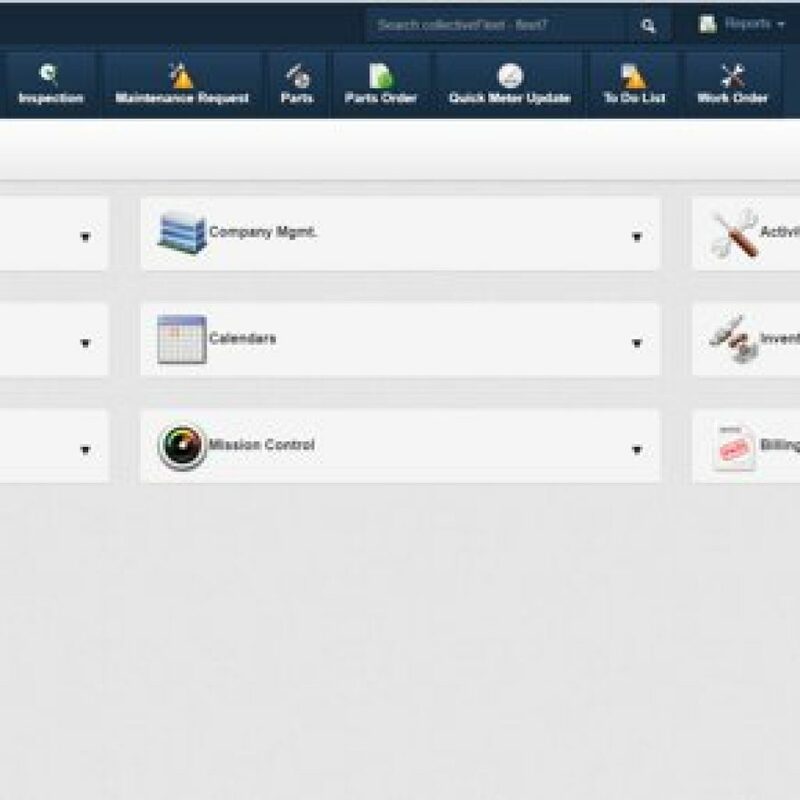 The Report Editor feature ensures that you will view the data in a way that makes sense for your enterprise. Effortlessly integrate your fuel card, GPS, accounting system, or other software with collectiveFleet® to create a customized working system for your business. Create Ad hoc style reports for custom, yet simple reporting by each user. Use advanced filtering options to show data relevant to current business needs and requirements. By using one of 100+ fleet and operational report options, you can generate a standard operational report that fits your needs. These reports can include graphs and charts that enhance clarity and promote understanding. Reports can be easily exported to .CSV and .PDF files for easy sharing. Download our insightful guide that provides an idea of how implementing our management software will improve your bottom line. We help you make smarter decisions, based on real-time data: know when to replace vehicles, perform maintenance, order parts, and provide worker training. You will have a clearer understanding of how much you are spending currently and compare that to your goals. You can lower your costs by reducing waste and pass that savings on to your customers. Reduce the risk of inaccurate and inaccessible data with the old fashioned spreadsheet method. Advance your operations into modern technology with collectiveFleet®. Experience the value of high productivity and information control. We offer the tool you need to make the right decisions at the right time. Knowing you have a safe fleet on the road is critically important to your company and society as a whole. With collectiveFleet®, you will know exactly when each vehicle had its last inspection, oil change, lube, or any other maintenance or repair. Recording details can be as intricate as you want, or as simple as you need. Invest in strong and intuitive software that you can trust. collectiveFleet® is your solution for staying ahead of preventative fleet maintenance, tracking and assigning assets, and managing worker tasks. Collective Data stands by your side through your business success journey, offering training, support, and guidance. Along with our comprehensive implementation training and monthly webinars, we also offer how-to-videos on our website.